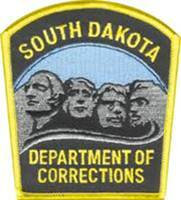 This page contains information on all of the jails and prisons located in South Dakota. Each of the listed facilities below give users the visiting hours, applications, inmate mailing address, rules and regulations for sending money and much more. Users can also ask our online community and staff and prison/jail related question. We update our prison and jail visiting hours regularly, however it is important to note that visiting can be canceled or changed for various reasons such as a lockdown. Because of this, we ask all prospective visitors to contact the institution prior to leaving for their visit to ensure nothing has been changed. In addition, we ask that if any of our pages contain an error you leave us a message at the bottom of that page so our staff can quickly make corrections.